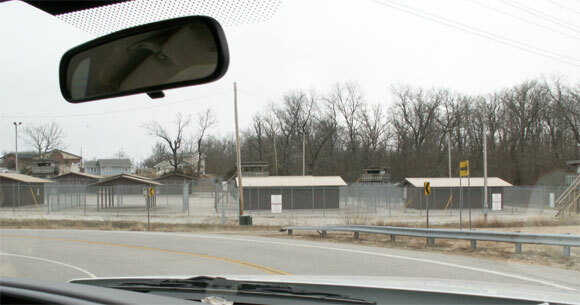 An anonymous source has sent photos to Infowars.com of a FEMA training camp located at Fort Leonard Wood, Missouri. Sam will talk with Alex Jones on his nationally syndicated radio show today. The FEMA camp whistleblower was contracted to work at the camp. He describes it as a "civilian inmate training camp" and told Infowars.com he has spotted foreign troops in maroon and purple uniforms instructing troops in the use of baton tactics and crowd control techniques. 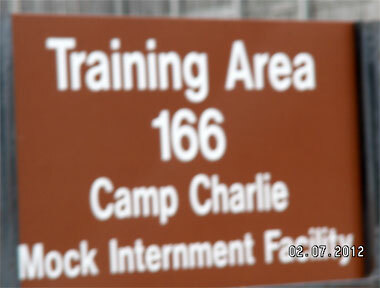 He said there has been "incredible activity" at the camp since the passage of NDAA. Prior to Obama's signing the NDAA bill into law on January 1 of this year, we reported on a push to outfit FEMA and Army camps around the United States. Documents on the effort were forwarded to us by a state government employee who wanted to remain anonymous. In January, witnesses came forward with evidence of a FEMA rendition facility located at the airport in Los Angeles. FEMA camps are a touchy subject for the government. In December 2010, an episode of Jesse Ventura's Conspiracy Theory covering FEMA camps, fusion centers and the police state did not re-air on TruTV after the government put pressure on the network.